Hours of Operation: Monday - Saturday, 8:00 a.m. - 7:00 p.m. | Sunday, 9:00 a.m. - 3:00 p.m.
Trust Hiway One Tire Shop for new or used tires* as well as wheels and rims in Harvey, Illinois. 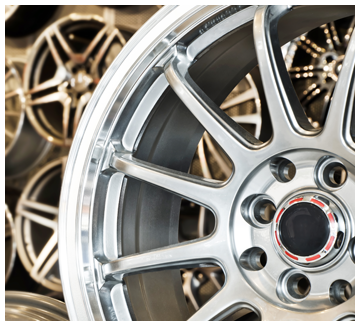 Our experienced team makes sure you get the tires and rims that best fit your vehicle and needs. Every team member is thoroughly trained and takes pride in what they do, so you can always expect top-notch service from us. Your tire mounting, wheel alignment, and balancing are always done with precision and at a competitive price. Hiway One Tire Shop has wheel packages that save you money; they always include installation, balancing, nuts, and locks. In addition to being competitively priced, the installation of our packages is fast. We typically complete installation in about an hour. *We offer a thirty-day used tire return policy for manufacture's defects only.